New coupons can appear at any point during the month, but the best selection is at the beginning of the month. 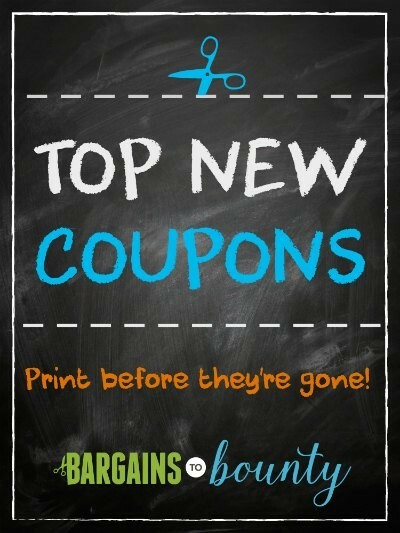 Fire up your printer for the best selection of printable coupons! While these items may not be on sale yet, they could be soon, so keep your eyes open (and please share if you find a deal!). TIP: Each printable and digital coupon has a quota set by the manufacturer. This number is not usually shared with the public, but once the set amount or a end date has been reached, the coupon will disappear without warning. To avoid the sadness associated with looking for a printable or digital coupon you desperately wanted and being unable to find it later, I would recommend printing and clipping coupons now if you see brands or products you would use. Today we’ve got new coupons from favorite brands like Kellogg’s, Stonyfield, Hormel Natural Choice, Lindor, Snickers and more! Don’t forget to select your new SavingStar offers for the month, too! Meijer: 39¢ Green Giant Riced Veggies!